Age: Mark Jang is twelve years of age and was born on the first of February. Species: Elf/Grim Reaper Hybrid. Her mother was a Grim Reaper and her father was an elf. Appearance 1: Sealed (Mortal/Human) Appearance: Mark Jang has long, flowing blood red hair that reaches her waist; it is layered, and there are two strands in front cut to just hang to a little past her collarbones. Long bangs with traces of gold hang over her left eye, hiding it from view. Both of her eyes are emerald green, while her skin is pale and milky; her ears have perfect points. Her cheekbones are high, and her nose is small but strong; her lips are full and red by nature. Sealed (Mortal) Clothing: Mark Jang wears a hot pink-knee length skirt that is made of flare design with pink lace designing the edges and the waistline; tucked into her skirt is a white button-up (button-down?) t-shirt with a starched collar. A pair of black tights cover what is left of her legs; a pair of white ankle boots cover her delicate feet. Appearance 2: Unsealed Appearance: This is Mark Jang's natural appearance. She has short blood red hair that brushes her shoulders just barely; her bangs are now even just above her eyebrows. There are midnight blue streaks through her hair, and one of her eyebrows has two midnight blue slashes ( / / ) through it while the other has two ring piercings. There is a black scar carving from the base of her right ear to her right eye, from a battle with a sorcerer. Her eyes are now a very deep green with gold flecks, and her skin has more of a tan now. Her ears are pointed, but also pierced now; she wears black studs in both ears, two in each lobe. She has a black tattoo on the left side of her neck; it is 젱, the Hangul for Jang. 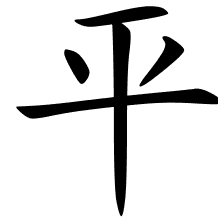 Everyone from the Jang clan has a tattoo of 젱 somewhere on them; that is how the family identifies one another. On her right shoulder is another tattoo, two black scythes crossed; the sign of her mother's Grim Reaper House. Her lips are still full and red, and her nose is still small, but she now has a silver lip ring on the bottom left side. She has a muscular and lean build; she is four foot one. A baggy black tank top (made of see-through material) over a lime green undershirt covers her chest while showing off her clan/House tattoos; a white gold band is wrapped around her left bicep, drawing attention to her muscles. A bouncy black skirt with thin lime green lines streaking up and down it at random intervals ends two inches above her knees; she wears a pair of knee-high lime green lace-up boots with black stripes down the side and block high heels. Two black and lime green paracord bracelets grace each of her wrists, and a silver chain necklace with a sword pendant hangs over her throat. Appearance 3: Wolf Appearance: As her Wolf form, Mark is a small silver wolf with large emerald eyes and some black stripes on her fur. Her paws have reddish socks, and her ears and tail are fluffy and russet in color. Personality: Mark Jang is generally a very sweet person, but she's easily angered, especially in matters of her friends or her memory. (Read backstory.) She likes sweets, and usually those are what can be used to calm her down. Weapons: Sealed (Mortal) Weapons: A simple sword strapped to her back or her magic/skills. Unsealed Weapons: In her Unsealed form, Nora has the ability to Call forth her Grim Reaper scythe, a sword made in the classic Asian sword design, or a recurve bow. Often, she prefers to fight using her skills or magics instead, however. Magics: Transformation (into the wolf above), Support (healing minor external wounds), and Attack (Flame/weapon magic). Weakness 1: Fear: Ever since she was young, Mark Jang was afraid of anyone with red eyes, due to flashbacks from the past she can't remember. Red eyes and her fear triggers flashbacks, which shut her body down; it takes her several days, sometimes weeks, to learn to trust anyone with red eyes. Weakness 2: Allergen: Mark Jang is fatally (yes fatally) allergic to copper and can die from close proximity to it. Weakness 3: Magic: Mark Jang cannot defend herself using magic unless they are attacks that can be sliced or destroyed with force or her magic, and is particularly susceptible to wind or electric magic due to the amount of metal she wears and the fact that wind magic can usually not be destroyed by her skills. Backstory: PLEASE KEEP IN MIND MARK JANG HAS AMNESIA AND DOES NOT REMEMBER ANY OF THIS. Mark was born as Nora Jang on February the first; up until she was about five, she had a normal Grim Reaper/Elf child life. However, the day before her fifth birthday, her mother's House was stormed and everyone except for her was killed. (The Jang clan wasn't there and survived.) She was taken and forced into a training program for assassins, but she escaped when she turned ten, directly after having her memory wiped of everything. She was found and taken in by a young woman named Kyua, but Kyua was killed on her twelfth birthday and now she's out for revenge. Wow... that's more detailed, though I would prefer not to have a character with a Phobia. She can have a fear, but phobia is basically a mental illness and I won't accept the romanticism of such. Read this for more info on that.